Let us thank all our volunteers that now serve or have served this great community. Let's ask our neighbors to join and volunteer! It's only $48 per year. That is $4 per month per home address. We welcome more volunteers. If you are willing to become an Area Rep. Please contact Jan Kirby for more information about helping make Northern Hills a better place to live. Our new COP manager is Roxanne Valles. We welcome her leadership to this valuable safety program. 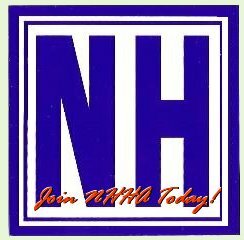 Get on our email list for important short term notices by sending an email to the "webmaster at mynhha.org"
Northern Hills Area Representatives Jan Kirby, Area Chairperson, 210-656-5256 Send email to "jsk1965@att.net"
Area 1 Helen Fesler, 210-656-4644 Send email to "helmit41@gmail.com"
Area 2 Margo Mills 210-385-8626 Send email to "sales@margoargo.com"
Area 3 Volunteer needed, Send email to "jsk1965@att.net"
Area 4 Gail Gemlich, 210-422-4269 Send email to "tigerspur@ssbcglobal.net"
Area 5 Sonja Koenig, 210-316-0488 Send email to "ssfkoenig@yahoo.com"
Area 8 David & Jan Hadley 210-653-9387 Send email to "janhadley1@yahoo.com"
Area 9 Volunteer needed 210... Send email to "jsk1965@att,net"
Marianne Shields, 210-465-9843 Send email to "mlbass@aol.com"
Area 11 Carol Garza, 210-637-1720 Send email to "carol.garza@sbcglobal.net"
President Mike Gallagher, 210-946-0190 Send email to "michaelg1@att.net" "
Vice-President ..., 210-... Send email to "..."
Recording Secretary M. J. Barnes, 210-278-2664 Send email to "hospitalitybymj@yahoo.com"
Treasurer Karl Millard, 210-967-9684 Send email to "tigerspur@sbcglobal.net"
Membership Secretary Marianne Shields, 210-465-9843 Send email to "marianneshields@yahoo.com"
C.O.P. Manager Ron Anderson, 210-651-2134 Send email to "satxron@att.net"
Covenant Compliance Committee Margo Argo, 210-385-8626 Send email to "sales@margoargo.com"
Advertising Manager Volunteer, 210... Send email to "..."
Area Reps Chairperson Jan Kirby, 210-656-5256 Send email to "jsk1965@att.net"
Airport Advisory Les Hobgood, 210-599-3583 Send email to "1960corvette@att.net"
Newsletter Coordinator Volunteer needed, 210... Send email to "editor"
Yard of the Month Clare Coleman, 210-590-1906 Send email to "clarecat@swbell.net"
Event Photographer Jan Kirby 210-656-5256 Send email to "jsk1965@att.net"
Sunshine Person Gail Gemlich, 210-422-4269 Send email to "tigerspur@sbcglobal.net"
Non-Emergency, 210-207-7273 (207-SAPD) Send email to "richard.grant@sanantonio.gov"
Garage Sale Day Kathy Green, 210-627-0153 Send email to "kathygreen52@yahoo.com"
Clean Up Day Deborah Williamson, 210-827-0307 Send email to "dear@satx.rr.com"
Monday Night Dinner Jan Kirby, 210-656-5256 Send email to "jsk1965@att.net"
Northern Hills Pool President Don Royder, 210-669-4924 Send email to "info@northernhillspool.com"
NHHA Scholarship Jan Hadley, 210-653-9387 Send email to "janhadley1@yahoo.com"
Webmaster Ed Weitz, 210-822-7700 Send email to "ed@etmcs.com"
Send your attachments, photos, news events and site problems to . copyright - © 2006 NHHA - All rights reserved.